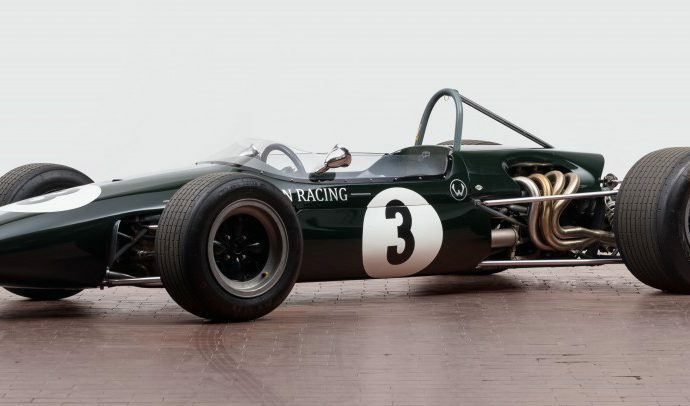 The 1967 Brabham BT23-5 driven by future Formula 1 champion Jochen Rindt, headlines the docket for Auctionata’s next online sale, scheduled for June 26. The car is considered the most successful Formula 2 racer ever and carried Rindt to victory nine times during the 1967 season. The car has been restored and a minimum bid of €180,000, equivalent to $203,500, has been established for the online auction. Auctionata, which is based in Berlin, Germany, notes that only 31 BT23-5 chassis were produced, and that 22 of them were used in F2 racing. However, it adds that only three of those cars still survive. Rindt drove for four years for F2’s top team of the 1960s, a privateer effort led by Roy Winkelmann. Rindt made his Formula 1 debut in 1964 and in 1970 became the only driver to win the world championship posthumously after dying during practice for the Italian Grand Prix. Other cars being offered in the auction include a 1977 Lancia Stratos Group 4 racer, a 1979 Ferrari 308 GTB with only 15,000 kilometers on its odometer, and an unrestored 1972 Porsche 914/6 “Eagle,” one of only 13 produced. As is Auctionata’s practice, the online auction will be hosted by an automotive or racing celebrity. This time it is Johannes Hubner, historic racing and rally commentator and organizer of a concours d’elegance held annually at the Schwetzingen castle in Germany. For more information, see the Auctionata website.